It's summer in the Cascades, which means that it's bug season. Sometimes it comes a little before July, sometimes a little after, but this year it came right smack dab in the middle. And it's still here. Racking up at the Blue Lake Trailhead parking lot for a climb in Washington Pass is near suicidal this time of year, as the bugs can seriously ravage you in minutes if you don't start hiking as soon as you step out of the car. You can however, take some preventative measures. Sure you can cover as much skin as possible by wearing pants, long socks and long sleeves, but it sure is hot out and your face, neck, and hands are still exposed. The next thought is, bug spray. I was at Garnet Lake in the Sierras last weekend, and my 25% DEET was worthless. 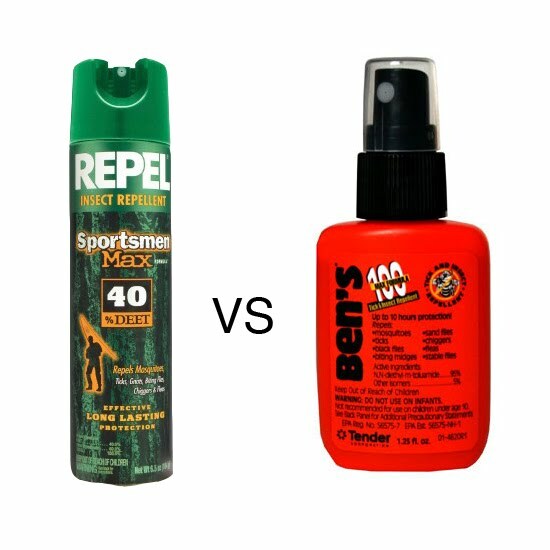 My friend used 100% DEET and only got 3 bites... the rest of us got nibbled up! Thanks Hiking Lady! 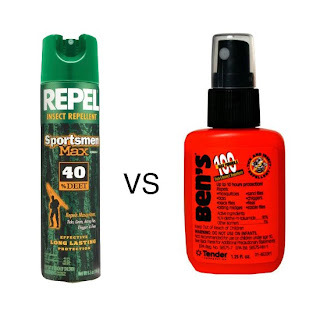 Plain and simple, pure deet in small amounts is the most effective thing I've ever used. How were the Sierras? Beautiful time of year I'm sure, I'm hoping to spend a month in the high Sierras in October to climb some.